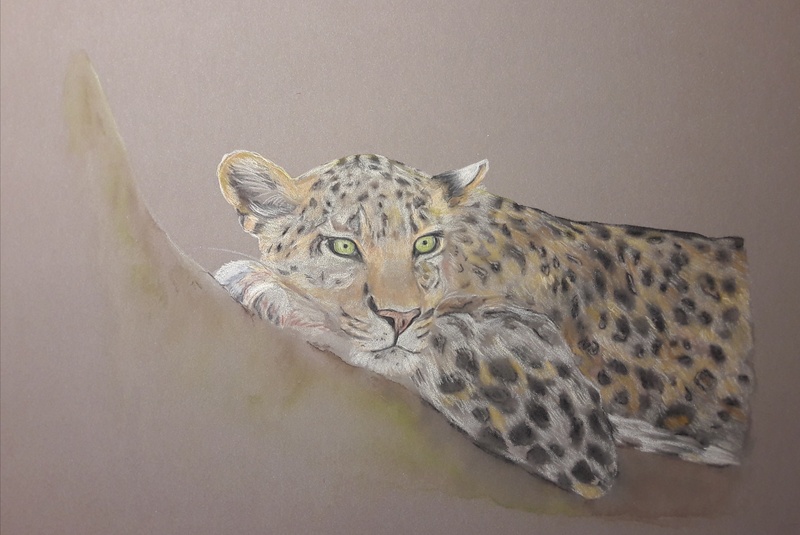 The first shot of a work in progress practise piece using new paper that was a Christmas present. 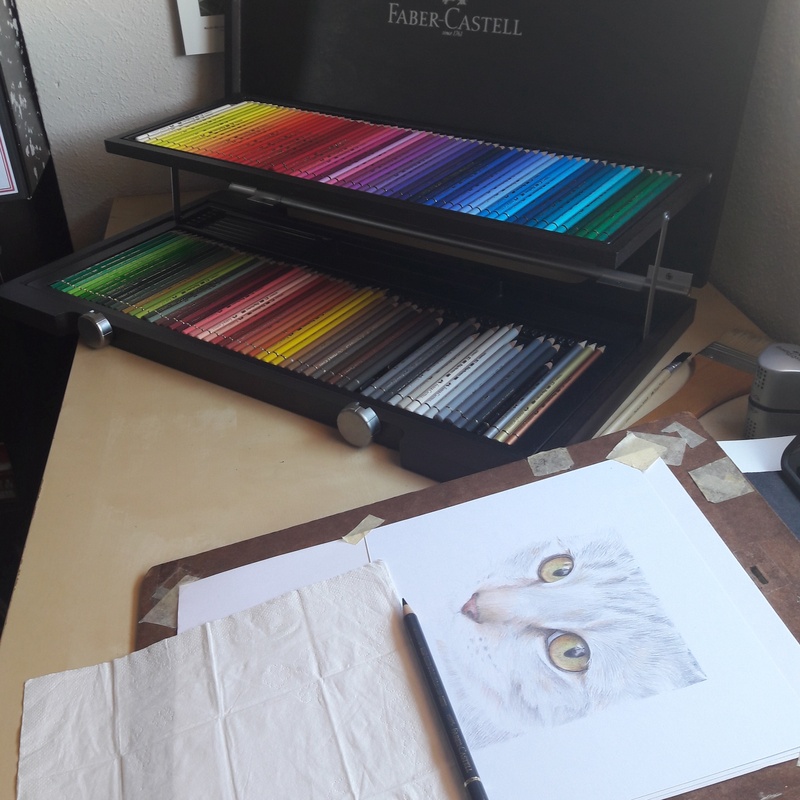 I have used Faber Castell Albrecht Dürer for the under colours then Faber Castell Polychromos ontop. 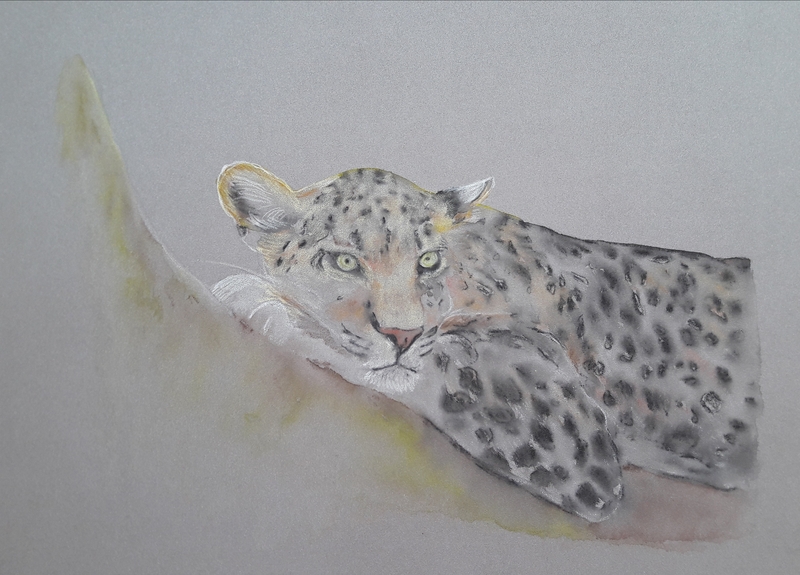 The paper is Clairefontaine Pastelmat dark grey. 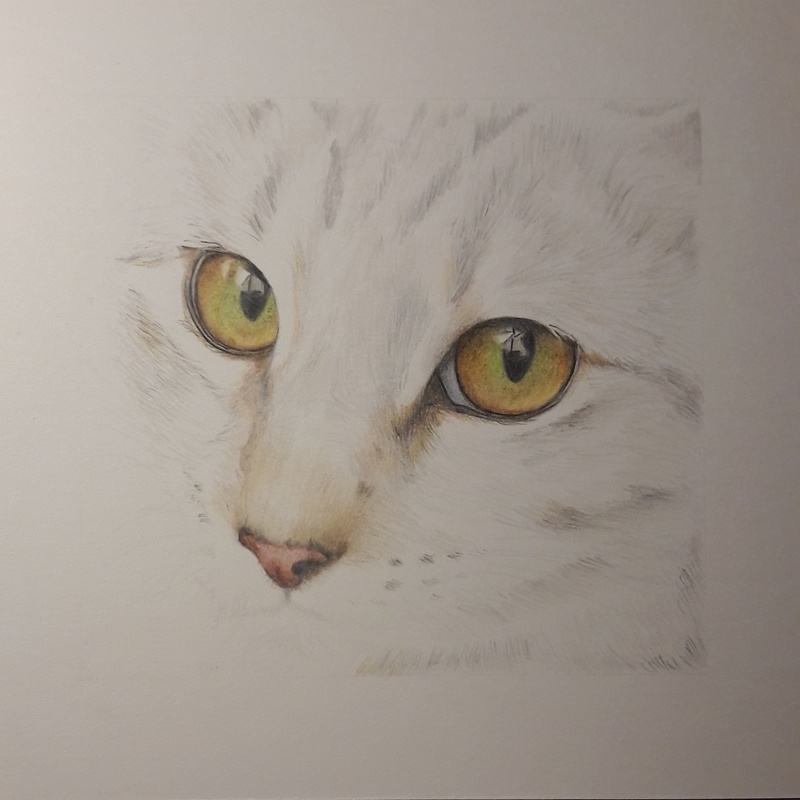 Reference photo used with permission. This was yesterday’s work, coming along nicely! 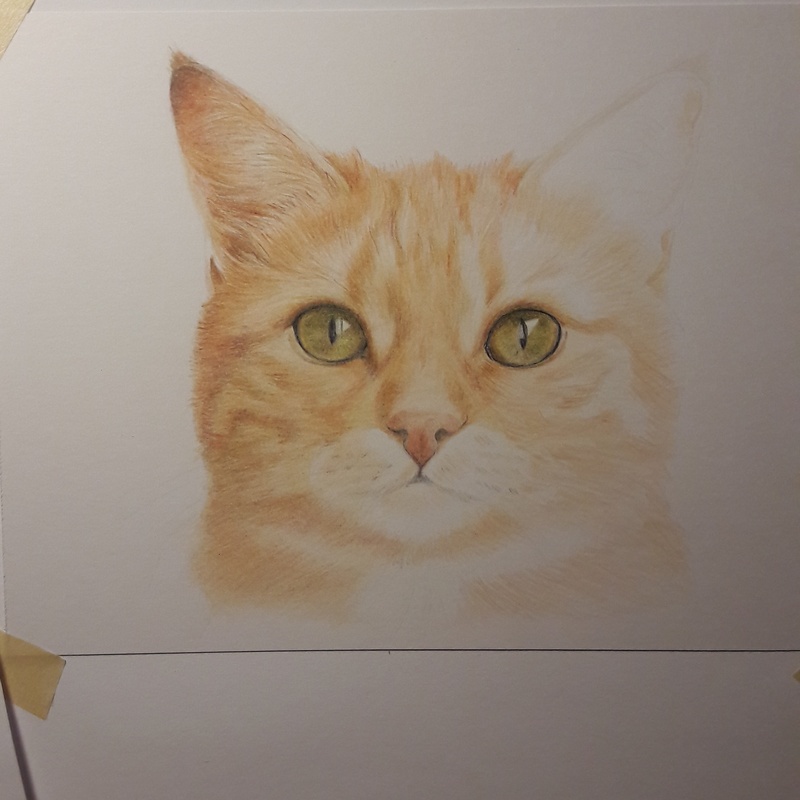 Here is the start of yet another cat drawing. 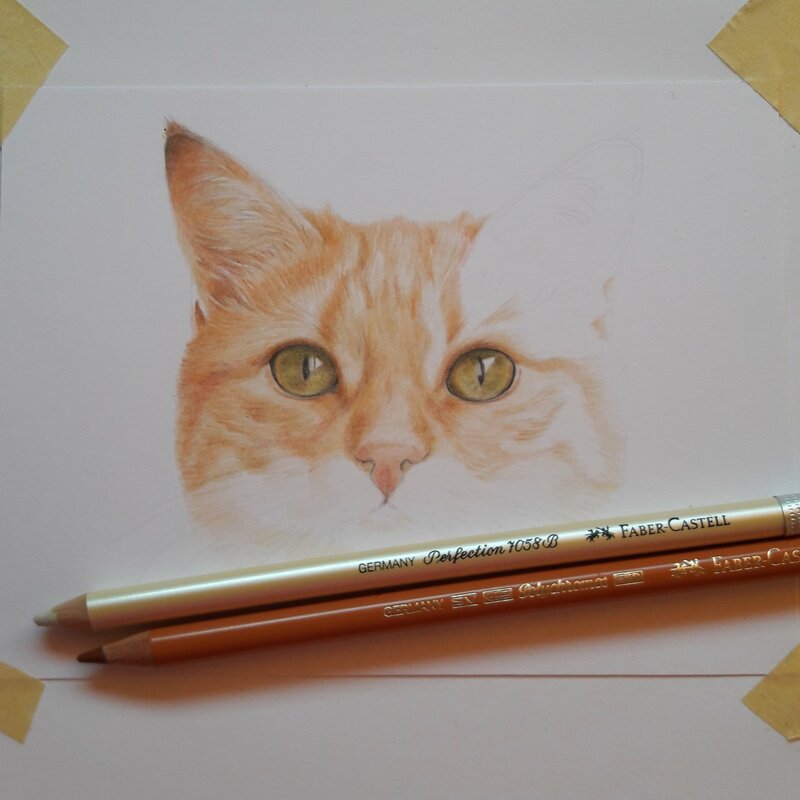 I am using Faber Castell Polychromos on Winsor & Newton Bristol Board, and the finished piece will be 16cm x 12cm.